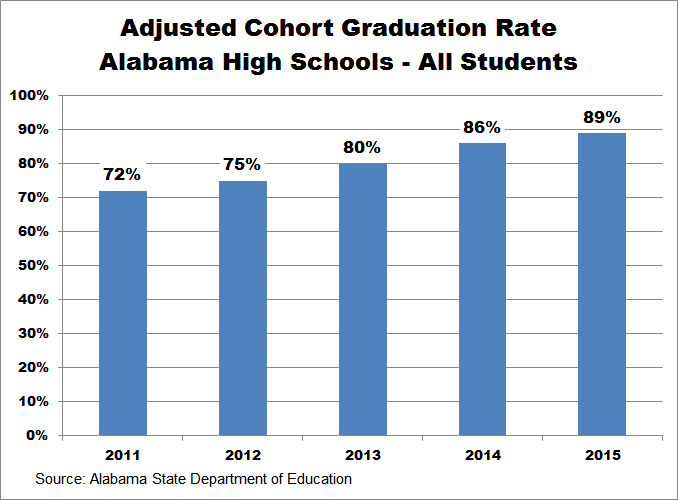 Alabama’s meteoric increase in high school graduation rates, from 72% in 2011 to 89% in 2015, has some folks questioning those numbers. Governor Robert Bentley praised that increase in Alabama’s public school graduation rates in his State of the State speech Tuesday evening. President Barack Obama touted the national rise in high school graduation rates in his State of the Union address in January. State Superintendent Dr. Tommy Bice proudly announced the all-time high graduation rate at the state board of education’s January meeting. Some suggest the numbers may have been manipulated. Stepping in early to keep kids on track. Lowering the bar by offering alternate and easier routes when students falter. Gaming the system by moving likely dropouts off the books, transferring or misclassifying them. They suggested Alabama is lowering the bar by allowing alternative ways, like credit recovery, for students to earn diplomas. Others suggest that dropping the high school graduation exam allowed more students to graduate. The effect of dropping the exam would have been first seen in the 2014 graduation rate numbers, and the state’s rate did jump 6% from 80% in 2013 to 86% in 2014. I’ve been wondering if school officials were simply keeping better track of students. The numbers show there is some truth in that. 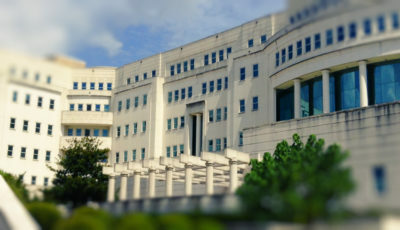 Official numbers provided in graduation reports reveal that of the 62,807 students counted as part of Alabama’s 2011 graduation rate, a total of 4,979 students, or nearly 8%, were counted as “missing” or “no show”, meaning that school officials didn’t know what happened to them when they left their school. School officials simply hadn’t kept track of them. That number dwindled to only 107 or 0.2% of 54,493 students counted in those same two categories for the 2015 count. Better record-keeping has helped, certainly, but the number and percentage of students dropping out of high school has decreased as well. In the class of 2011, a total of 4,889 students were reported as “dropouts”, or 7.8%. The number of students listed as “dropouts” for the class of 2015 was 2,603, or 4.8%. So the math shows there are fewer students dropping out of high school, regardless of what you think about the rest of the numbers. That answers a few questions I had. But let’s look more closely at the rates that have been reported. It isn’t possible to compare graduation rates prior to the class of 2011 to any previous class because the way high school graduation rates are calculated changed in 2011. Beginning in 2011, the graduation rate (officially known as the Adjusted Cohort Graduation Rate or ACGR) reflects the percentage of students who completed graduation requirements four years after beginning the ninth grade. 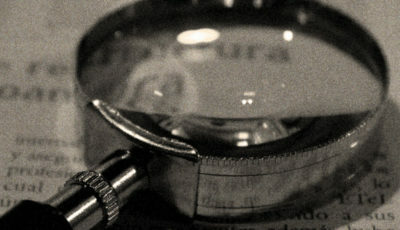 The rate was standardized nationwide to allow for better comparisons and tracking. Check out this map showing 2013 graduation rates for every school district in the country from the Hechinger Report. The numbers reported here were taken from data made available by the Alabama State Department of Education (ALSDE). 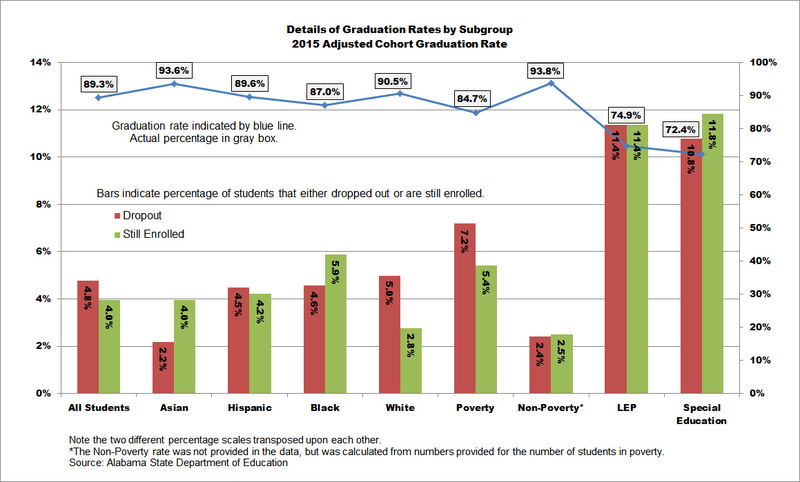 The graduation rates for the class of 2011 were not disaggregated by subgroup and were not able to be added to the detailed tables below. 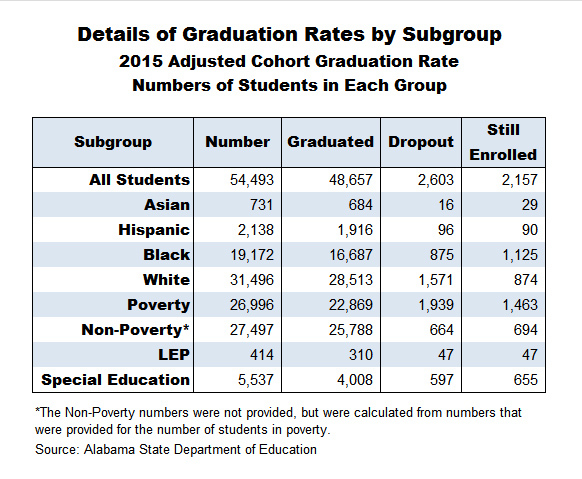 Here are Alabama’s graduation rates for the “All Students” group from 2011 to 2015. 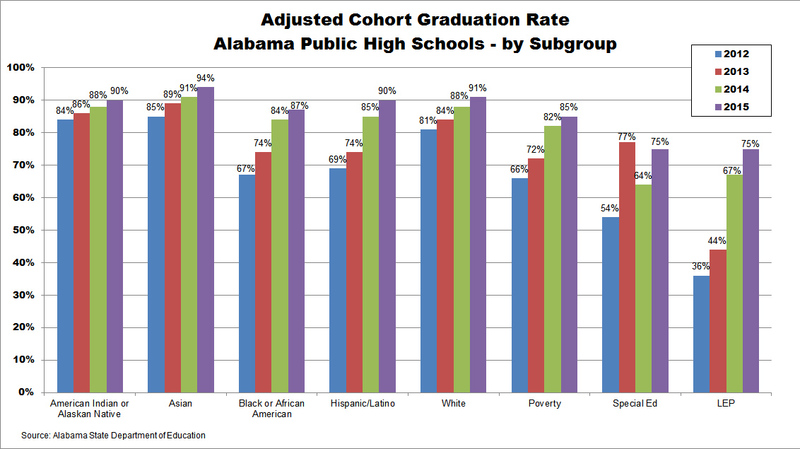 Here are Alabama’s graduation rates by subgroup from 2012 to 2015. Please be sure to read the “Limitations to Using the Data” section to better understand the limitations of the numbers used here. Only schools that reported a graduation rate in 2012 and again in 2015 for the named subgroup are included in the table below. With all of the good news, though, it’s important to know the flip side of what the table above shows. For kids in special education, the flip side particularly gloomy. 156 of the 177 schools reporting graduation rates (meaning there were more than 10 students in special education that school) reported rates of less than the state’s overall rate of 89%. 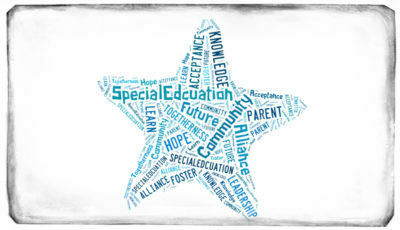 14 of those schools graduated 50% or fewer of their students in special education. Another 51 of those schools have rates between 51% and 70%. And the real concern is not knowing what the graduation rate for students in special education actually is at the 144 schools that don’t report any rate at all. What’s worse is that of the 5,537 students counted in the special education subgroup, 597 or nearly 11% of those students dropped out. Another 655 or 11.8% of those students remained enrolled in school. But children in special education are not the only group of students at risk of not graduating on time. What About the Kids That Didn’t Graduate? Looking at those numbers for the class of 2015, the percentage of students within each subgroup differs substantially. The graph below shows the percentage of students in each subgroup who have officially dropped out and what percentage remain enrolled at school having not graduated in four years. Note the dropout percentages for students in poverty (versus those not in poverty), students who have limited English proficiency (LEP) and students in special education. Students in poverty dropout at three times the rate of students not in poverty. That deserves a closer look. Another interesting point revealed in the chart above is that where 5.9% of black students remain enrolled, only 2.8% of white students remain enrolled for more than 4 years. Here are the numbers that were used to calculate the percentages. 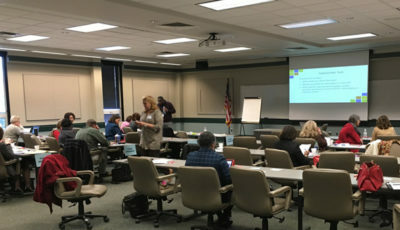 The spreadsheet from the ALSDE contains those numbers by school, but many of the numbers are not available by subgroup due to their being fewer than 10 students in a group. As I went through these numbers, I found a lot of different things worth drawing attention to, but I’ll stop here for now. Scroll past the tables to download the spreadsheets used to create the tables. This table allows you to choose a system, and then sort rates for schools within the system. This table allows you to sort rates by high school. This table allows you to view graduation rates by subgroup. This line chart shows you graduation rates over time for all schools within the system you choose. For systems with many high schools, you might want to further narrow down by school. Choose the subgroup(s) for whom you want to see the rates, or if you want to see all of the rates, click on the legend to highlight the subgroup for more detail. The first spreadsheet is the compilation of high school graduation rates for all school districts, all systems, and the state as a whole. The second spreadsheet breaks out rates by subgroup and reports percentages of change from one year to the next, and the overall change from 2012 (remember, disaggregation of subgroups was not made available for 2011) to 2015. Please use these numbers responsibly. Numbers can be used in many ways, but the most helpful way is to reveal struggles and successes, identify areas that need to be improved, and look at those who have shown success and then work to replicate that success. Why should you care what your community’s high school graduation rates are? If your schools are graduating students at high rates, then this information may not mean much to you. 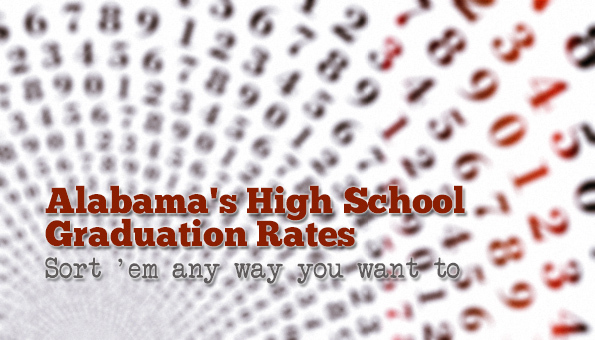 There are a few limitations and caveats in using the ALSDE graduation rate data. First, for 2013 and 2104, the highest graduation rate reported in any group is 95%. The “~” symbol is used to indicate a rate of 95% or higher for those years. For 2015, the ALSDE indicated “greater than 95%” in their spreadsheet. In the spreadsheets used to create these tables, I substituted 95% for the “~” sign for 2013 and 2014 and for the “greater than 95%” wording in 2015. Second, if a school graduated fewer than 10 students in a subgroup, an asterisk (“*”) was used. As a result, no rate was used for that subgroup in the spreadsheet I developed to create these tables. Third, for the class of 2012, rates higher than 95% were reported. For any school that reported a rate higher than 95% in 2012 and reported a 95% rate in a subsequent year, the percent change was held at 0% so as not to unfairly report a negative change. However, that 2012 rate was used to calculate a change if a reported graduation rate in a subsequent year was less than 95%. Fourth, for that same class of 2012, the “~” sign was used to indicate when a graduation rate was 10% or lower. Because I could not responsibly substitute any number, I reported no number in those cells. Finally, Alabama’s high schools have a wide range in the size of their senior class at each school. For example, in 2015, the smallest 12th grade class had 14 students, and the largest had 654. With smaller schools, the graduation rate can be impacted with a change of only a few students. Small sample sizes are always a problem when looking at trends across time.